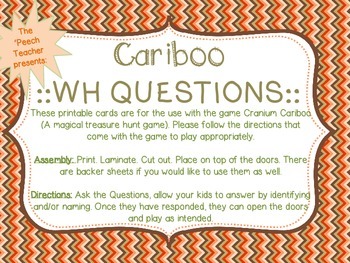 These wh- question (who, what, and where) printable cards are for the use with the game Cranium Cariboo (A magical treasure hunt game). Please follow the directions that come with the game to play appropriately! 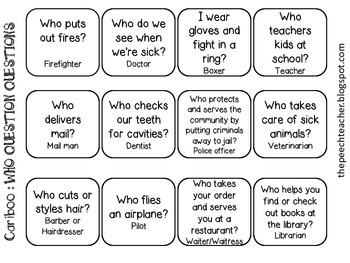 along with the paired questions to go with the picture cards. 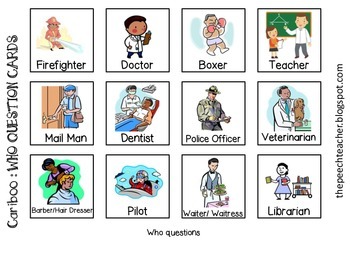 Ask the Questions, allow your kids to answer by identifying and/or naming. Once they have responded, they can open the doors and play as intended.